There are dangerous ministries and false teachers today who are proclaiming a return to "Hebraic Christianity" as the true way of obedience to God. 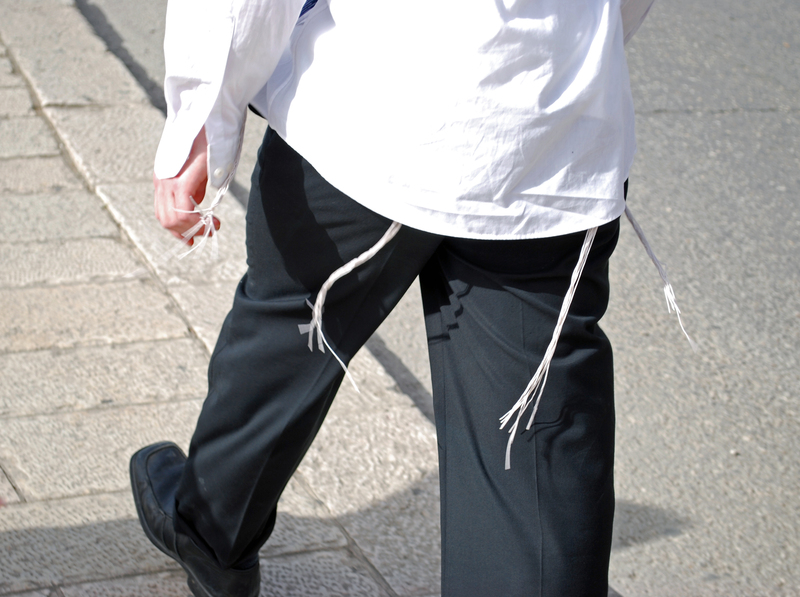 This return includes wearing tassels on your clothes, celebrating the Jewish feasts, not eating "unclean" meats, keeping the 7th-day Sabbath, only referring to Jesus and God by Their Hebrew Names, requiring circumcision, and more, to the point where I have actually seen stated that nothing of the old covenant has been changed or removed. This is a destructive and divisive heresy, and we must be prepared to respond to it Scripturally. One might think such a response would be easy, but a short perusal of their voluminous teachings will show them to be confusing, ambiguous, and convincing. I know and love people who follow these teachings; I do not know the heart of these teachers; all I know is that the doctrines are enticing and destructive, and we must beware. In Christ, the Old Covenant is obsolete and has disappeared (Heb. 8:13). This does not mean that the Old Testament is no longer authoritative, but it means that everything having to do with the temple (9:1-9), the ceremonial laws- specifically washings and diet- (9:10-12), the sacrificial system (10:8-10) which by implication includes the feasts and all Jerusalem- and temple-specific commands- all of these are "taken away". On the question of the Sabbath there is Christian liberty as demanded by Romans 14. "But when I saw that they were not straightforward about the truth of the gospel, I said to Cephas in the presence of all, "If you, being a Jew, live like the Gentiles and not like the Jews, how is it that you compel the Gentiles to live like Jews?"" Hello Bro.Gabriel. I am a Pastor from Mumbai, India. I am glad to stop by your profile on the blogger and the blog post. I am also blessed and feel privileged and honored to get connected with you as well as know you and about your interest in Godly things. I enjoyed going through your blog post and I fully agree with you regarding such cults like Hebraic Christianity and their teaching which is very heretical and we need to rebuke such people in a loving manner. I love getting connected with the people of God around the globe to be encouraged, strengthened and praying for one another. I have been in the Pastoral ministry for last 39 yrs in this great city of Mumbai a city with a great contrast where richest of rich and the poorest of poor live. we reach out to the poorest of poor with the love of Christ to bring healing to the brokenhearted. We also encourage young and the adults from the west to come to Mumbai to work with us during their vacation time. We would love to have young people come to Mumbai to work with us during their vacation time. I am sure they will have a life changing experience. My email id is: dhwankhede(at)gmail(dot)com and my name is Diwakar Wankhede. Looking forward to hear from you very soon. God's richest blessings on you, your family and friends also wishing you and your family a blessed and a Christ centered rest of the year 2018.